One problem of criminal activities is accounting for the proceeds without raising the suspicion of law enforcement agencies. Considerable time and effort may be put into strategies which enable the safe use of those proceeds without raising unwanted suspicion. Implementing such strategies is generally called money laundering. After money has been laundered, it can be used for legitimate purposes. Law enforcement agencies of many jurisdictions have set up sophisticated systems in an effort to detect suspicious transactions or activities, and many have set up international cooperative arrangements to assist each other in these endeavors. In a number of legal and regulatory systems, the term "money laundering" has become conflated with other forms of financial and business crime, and is sometimes used more generally to include misuse of the financial system (involving things such as securities, digital currencies, credit cards, and traditional currency), including terrorism financing and evasion of international sanctions. Most anti-money laundering laws openly conflate money laundering (which is concerned with source of funds) with terrorism financing (which is concerned with destination of funds) when regulating the financial system. Some countries treat obfuscation of sources of money as also constituting money laundering, whether it is intentional or by merely using financial systems or services that do not identify or track sources or destinations. Other countries define money laundering in such a way as to include money from activity that would have been a crime in that country, even if the activity was legal where the actual conduct occurred. Laws against money laundering were created to use against organized crime during the period of Prohibition in the United States during the 1930s. Organized crime received a major boost from Prohibition and a large source of new funds that were obtained from illegal sales of alcohol. The successful prosecution of Al Capone on tax evasion brought in a new emphasis by the state and law enforcement agencies to track and confiscate money, but existing laws against tax evasion could not be used once gangsters started paying their taxes. In the 1980s, the war on drugs led governments again to turn to money-laundering rules in an attempt to seize proceeds of drug crimes in order to catch the organizers and individuals running drug empires. It also had the benefit from a law enforcement point of view of turning rules of evidence upside-down. Law enforcers normally have to prove an individual is guilty to get a conviction but with money laundering laws money can be confiscated. It is up to the individual to prove that the source of funds is legitimate if they want the funds back. This makes it much easier for law enforcement agencies and provides for much lower burdens of proof. The September 11 attacks in 2001, which led to the Patriot Act in the U.S. and similar legislation worldwide, led to a new emphasis on money laundering laws to combat terrorism financing. The Group of Seven (G7) nations used the Financial Action Task Force on Money Laundering to put pressure on governments around the world to increase surveillance and monitoring of financial transactions and share this information between countries. Starting in 2002, governments around the world upgraded money laundering laws and surveillance and monitoring systems of financial transactions. Anti-money laundering regulations have become a much larger burden for financial institutions and enforcement has stepped up significantly. During 2011–2015 a number of major banks faced ever-increasing fines for breaches of money laundering regulations. This included HSBC, which was fined $1.9 billion in December 2012, and BNP Paribas, which was fined $8.9 billion in July 2014 by the U.S. government. Many countries introduced or strengthened border controls on the amount of cash that can be carried and introduced central transaction reporting systems where all financial institutions have to report all financial transactions electronically. For example, in 2006, Australia set up the AUSTRAC system and required the reporting of all financial transactions. The conversion or transfer of property, the concealment or disguising of the nature of the proceeds, the acquisition, possession or use of property, knowing that these are derived from criminal activity and participate or assist the movement of funds to make the proceeds appear legitimate, is money laundering. Money obtained from certain crimes, such as extortion, insider trading, drug trafficking, and illegal gambling is "dirty" and needs to be "cleaned" to appear to have been derived from legal activities, so that banks and other financial institutions will deal with it without suspicion. Money can be laundered by many methods which vary in complexity and sophistication. Money laundering involves three steps: The first involves introducing cash into the financial system by some means ("placement"); the second involves carrying out complex financial transactions to camouflage the illegal source of the cash ("layering"); and finally, acquiring wealth generated from the transactions of the illicit funds ("integration"). Some of these steps may be omitted, depending upon the circumstances. For example, non-cash proceeds that are already in the financial system would not need to be placed. Money laundering is the process of making illegally-gained proceeds (i.e., "dirty money") appear legal (i.e., "clean"). 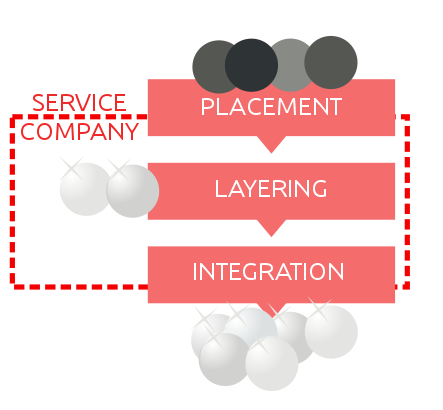 Typically, it involves three steps: placement, layering, and integration. First, the illegitimate funds are furtively introduced into the legitimate financial system. Then, the money is moved around to create confusion, sometimes by wiring or transferring through numerous accounts. Finally, it is integrated into the financial system through additional transactions until the "dirty money" appears "clean". Money laundering can take several forms, although most methods can be categorized into one of a few types. These include "bank methods, smurfing [also known as structuring], currency exchanges, and double-invoicing". Structuring: Often known as smurfing, is a method of placement whereby cash is broken into smaller deposits of money, used to defeat suspicion of money laundering and to avoid anti-money laundering reporting requirements. A sub-component of this is to use smaller amounts of cash to purchase bearer instruments, such as money orders, and then ultimately deposit those, again in small amounts. Bulk cash smuggling: This involves physically smuggling cash to another jurisdiction and depositing it in a financial institution, such as an offshore bank, with greater bank secrecy or less rigorous money laundering enforcement. Cash-intensive businesses: In this method, a business typically expected to receive a large proportion of its revenue as cash uses its accounts to deposit criminally derived cash. Such enterprises often operate openly and in doing so generate cash revenue from incidental legitimate business in addition to the illicit cash. In such cases the business will usually claim all cash received as legitimate earnings. Service businesses are best suited to this method, as such enterprises have little or no variable costs and/or a large ratio between revenue and variable costs, which makes it difficult to detect discrepancies between revenues and costs. Examples are parking structures, strip clubs, tanning salons, car washes, arcades, bars, restaurants, and casinos. Trade-based laundering: This involves under- or over-valuing invoices to disguise the movement of money. For example, the art market has been accused of being an ideal vehicle for money laundering due to several unique aspects of art such as the subjective value of art works as well as the secrecy of auction houses about the identity of the buyer and seller. Shell companies and trusts: Trusts and shell companies disguise the true owners of money. Trusts and corporate vehicles, depending on the jurisdiction, need not disclose their true owner. Sometimes referred to by the slang term rathole, though that term usually refers to a person acting as the fictitious owner rather than the business entity. Round-tripping: Here, money is deposited in a controlled foreign corporation offshore, preferably in a tax haven where minimal records are kept, and then shipped back as a foreign direct investment, exempt from taxation. A variant on this is to transfer money to a law firm or similar organization as funds on account of fees, then to cancel the retainer and, when the money is remitted, represent the sums received from the lawyers as a legacy under a will or proceeds of litigation. Bank capture: In this case, money launderers or criminals buy a controlling interest in a bank, preferably in a jurisdiction with weak money laundering controls, and then move money through the bank without scrutiny. Casinos: In this method, an individual walks into a casino and buys chips with illicit cash. The individual will then play for a relatively short time. When the person cashes in the chips, they will expect to take payment in a check, or at least get a receipt so they can claim the proceeds as gambling winnings. Other gambling: Money is spent on gambling, preferably on high odds games. One way to minimize risk with this method is to bet on every possible outcome of some event that has many possible outcomes, so no outcome(s) have short odds, and the bettor will lose only the vigorish and will have one or more winning bets that can be shown as the source of money. The losing bets will remain hidden. Black salaries: A company may have unregistered employees without written contracts and pay them cash salaries. Dirty money might be used to pay them. Tax amnesties: For example, those that legalize unreported assets and cash in tax havens. Transaction Laundering: When a merchant unknowingly processes illicit credit card transactions for another business. It is a growing problem and recognised as distinct from traditional money laundering in using the payments ecosystem to hide that the transaction even occurred (e.g. the use of fake front websites). Also known as "undisclosed aggregation" or "factoring". In Latin America, money laundering is mainly linked to drug trafficking activities and to having connections with criminal activity, such as crimes that have to do with arms trafficking, human trafficking, extortion, blackmail, smuggling, and acts of corruption of people linked to governments, such as bribery, which are more common in Latin American countries. There is a relationship between corruption and money laundering in developing countries. The economic power of Latin America increases rapidly and without support, these fortunes being of illicit origin having the appearance of legally acquired profits. With regard to money laundering, the ultimate goal of the process is to integrate illicit capital into the general economy and transform it into licit goods and services. In Colombia, the laundering of billions of dollars, which come from drug trafficking, is carried out through imports of contraband from the parallel exchange market. In Central American countries such as Guatemala and Honduras, money laundering continues to increase in the absence of adequate legislation and regulations in these countries. Money laundering activities in Costa Rica have experienced substantial growth, especially using large-scale currency smuggling and investments of drug cartels in real estate, within the tourism sector. Furthermore, the Colon Free Zone in Panama, continues to be the area of operations for money laundering where cash is exchanged for products of different nature that are then put up for sale at prices below those of production for a return fast of the capital. In Mexico, the preferred techniques continue to be the smuggling of currency abroad, in addition to electronic transfers, bank drafts with Mexican banks and operations in the parallel exchange market. Money Laundering in the Caribbean countries continues to be a serious problem that seems to be very dangerous. Specifically, in Antigua, the Dominican Republic, Jamaica, Saint Vincent and the Grenadines. Citizens of the Dominican Republic who have been involved in money laundering in the United States, use companies that are dedicated to transferring funds sent to the Dominican Republic in amounts of less than $10,000 under the use of false names. Moreover, in Jamaica, multimillion-dollar asset laundering cases were discovered through telephone betting operations abroad. Thousands of suspicious transactions have been detected in French overseas territories. Free trade zones such as Aruba, meanwhile, remain the preferred areas for money laundering. The offshore banking centers, the secret bank accounts and the tourist complexes are the channels through which the launderers whiten the proceeds of the illicit money. Casinos continue to attract organizations that deal with money laundering. Aruba and the Netherlands Antilles, the Cayman Islands, Colombia, Mexico, Panama and Venezuela are considered high priority countries in the region, due to the strategies used by the washers. The practice of money laundering, among other economic and financial crimes seeps into the economic and political structures of most developing countries therefore resulting to political instability and economic digression. Money laundering is still a great concern for the financial services industry. About 50% of the money laundering incidents in Latin America were reported by organizations in the financial sector. According to PwC's 2014 global economic crime survey, in Latin America only 2.8% of respondents in Latin America claimed suffering Anti-Trust/Competition Law incidents, compared to 5.2% of respondents globally. It has been shown that money laundering has an impact on the financial behavior and macroeconomic performance of the industrialized countries. In these countries the macroeconomic consequences of money laundering are transmitted through several channels. Thus, money laundering complicates the formulation of economic policies. It is assumed that the proceeds of criminal activities are laundered by means of the notes and coins in circulation of the monetary substitutes. The laundering causes disproportionate changes in the relative prices of assets which implies that resources are allocated inefficiently; and, therefore may have negative implications for economic growth, apparently money laundering is associated with a lower economic growth. The Office of National Drug Control Policy of the United States estimates that only in that country, sales of narcotic drugs represent about 57,000 millions of dollars annually and most of these transactions are made in cash. Money laundering has been increasing. A key factor behind the growing money laundering is ineffective enforcement of money laundering laws locally. Perhaps because of the lack of importance that has been given to the subject, since the 21st century started, there was not jurisprudence regarding the laundering of money or assets, or the conversion or transfer of goods. Which is even worse, the laws of the Latin American countries have really not dealt with their study in a profound way, as it is an issue that concerns the whole world and is the subject of seminars, conferences and academic analysis in different regions of the planet. Now a new figure that is being called the Economic Criminal Law is being implemented, which should be implemented in modern societies, which has been inflicted enormous damage to the point of affecting the general economy of the states. Even though, developing countries have responded and continue to respond, through legislative measures, to the problem of money laundering, at national level, however, money launderers, have taken advantage of the lax regulatory environment, vulnerable financial systems along with the continued civil and political unrest of most the developing countries. Many regulatory and governmental authorities issue estimates each year for the amount of money laundered, either worldwide or within their national economy. In 1996, a spokesperson for the IMF estimated that 2–5% of the worldwide global economy involved laundered money. The Financial Action Task Force on Money Laundering (FATF), an intergovernmental body set up to combat money laundering, stated, "Due to the illegal nature of the transactions, precise statistics are not available and it is therefore impossible to produce a definitive estimate of the amount of money that is globally laundered every year. The FATF therefore does not publish any figures in this regard." Academic commentators have likewise been unable to estimate the volume of money with any degree of assurance. Various estimates of the scale of global money laundering are sometimes repeated often enough to make some people regard them as factual—but no researcher has overcome the inherent difficulty of measuring an actively concealed practice. Regardless of the difficulty in measurement, the amount of money laundered each year is in the billions of US dollars and poses a significant policy concern for governments. As a result, governments and international bodies have undertaken efforts to deter, prevent, and apprehend money launderers. Financial institutions have likewise undertaken efforts to prevent and detect transactions involving dirty money, both as a result of government requirements and to avoid the reputational risk involved. Issues relating to money laundering have existed as long as there have been large scale criminal enterprises. Modern anti-money laundering laws have developed along with the modern War on Drugs. In more recent times anti-money laundering legislation is seen as adjunct to the financial crime of terrorist financing in that both crimes usually involve the transmission of funds through the financial system (although money laundering relates to where the money has come from, and terrorist financing relating to where the money is going to). Transaction laundering is a massive and growing problem. Finextra estimated that transaction laundering accounted for over $200 billion in the US in 2017 alone, with over $6 billion of these sales involving illicit goods or services, sold by nearly 335,000 unregistered merchants. In theory, electronic money should provide as easy a method of transferring value without revealing identity as untracked banknotes, especially wire transfers involving anonymity-protecting numbered bank accounts. In practice, however, the record-keeping capabilities of Internet service providers and other network resource maintainers tend to frustrate that intention. While some cryptocurrencies under recent development have aimed to provide for more possibilities of transaction anonymity for various reasons, the degree to which they succeed—and, in consequence, the degree to which they offer benefits for money laundering efforts—is controversial. Solutions such as ZCash and Monero are examples of cryptocurrencies that provide unlinkable anonymity via proofs and/or obfuscation of information (ring signatures). Such currencies could find use in online illicit services. In 2013, Jean-Loup Richet, a research fellow at ESSEC ISIS, surveyed new techniques that cybercriminals were using in a report written for the United Nations Office on Drugs and Crime. A common approach was to use a digital currency exchanger service which converted dollars into a digital currency called Liberty Reserve, and could be sent and received anonymously. The receiver could convert the Liberty Reserve currency back into cash for a small fee. In May 2013, the US authorities shut down Liberty Reserve charging its founder and various others with money laundering. Another increasingly common way of laundering money is to use online gaming. In a growing number of online games, such as Second Life and World of Warcraft, it is possible to convert money into virtual goods, services, or virtual cash that can later be converted back into money. Reverse money laundering is a process that disguises a legitimate source of funds that are to be used for illegal purposes. It is usually perpetrated for the purpose of financing terrorism but can be also used by criminal organizations that have invested in legal businesses and would like to withdraw legitimate funds from official circulation. Unaccounted cash received via disguising financial transactions is not included in official financial reporting and could be used to evade taxes, hand in bribes and pay "under-the-table" salaries. For example, in an affidavit filed on 24 March 2014 in United States District Court, Northern California, San Francisco Division, FBI special agent Emmanuel V. Pascau alleged that several people associated with the Chee Kung Tong organization, and California State Senator Leland Yee, engaged in reverse money laundering activities. The problem of such fraudulent encashment practices (obnalichka in Russian) has become acute in Russia and other countries of the former Soviet Union. The Eurasian Group on Combating Money Laundering and Financing of Terrorism (EAG) reported that the Russian Federation, Ukraine, Turkey, Serbia, Kyrgyzstan, Uzbekistan, Armenia and Kazakhstan have encountered a substantial shrinkage of tax base and shifting money supply balance in favor of cash. These processes have complicated planning and management of the economy and contributed to the growth of the shadow economy. An effective AML program requires a jurisdiction to criminalise money laundering, giving the relevant regulators and police the powers and tools to investigate; be able to share information with other countries as appropriate; and require financial institutions to identify their customers, establish risk-based controls, keep records, and report suspicious activities. Strict background checks are necessary to combat as many money launderers escape by investing through complex ownership and company structures. Banks can do that but a proper surveillance is required but on the Government side to reduce this. While banks operating in the same country generally have to follow the same anti-money laundering laws and regulations, financial institutions all structure their anti-money laundering efforts slightly differently. Today, most financial institutions globally, and many non-financial institutions, are required to identify and report transactions of a suspicious nature to the financial intelligence unit in the respective country. For example, a bank must verify a customer's identity and, if necessary, monitor transactions for suspicious activity. This process comes under "know your customer" measures, which means knowing the identity of the customer and understanding the kinds of transactions in which the customer is likely to engage. By knowing one's customers, financial institutions can often identify unusual or suspicious behaviour, termed anomalies, which may be an indication of money laundering. Besides economic costs to implement anti-money-laundering laws, improper attention to data protection practices may entail disproportionate costs to individual privacy rights. In June 2011, the data-protection advisory committee to the European Union issued a report on data protection issues related to the prevention of money laundering and terrorist financing, which identified numerous transgressions against the established legal framework on privacy and data protection. The report made recommendations on how to address money laundering and terrorist financing in ways that safeguard personal privacy rights and data protection laws. In the United States, groups such as the American Civil Liberties Union have expressed concern that money laundering rules require banks to report on their own customers, essentially conscripting private businesses "into agents of the surveillance state". Many countries are obligated by various international instruments and standards, such as the 1988 United Nations Convention Against Illicit Traffic in Narcotic Drugs and Psychotropic Substances, the 2000 Convention against Transnational Organized Crime, the 2003 United Nations Convention against Corruption, and the recommendations of the 1989 Financial Action Task Force on Money Laundering (FATF) to enact and enforce money laundering laws in an effort to stop narcotics trafficking, international organized crime, and corruption. Mexico, which has faced a significant increase in violent crime, established anti-money laundering controls in 2013 to curb the underlying crime issue. Formed in 1989 by the G7 countries, the Financial Action Task Force on Money Laundering (FATF) is an intergovernmental body whose purpose is to develop and promote an international response to combat money laundering. The FATF Secretariat is housed at the headquarters of the OECD in Paris. In October 2001, FATF expanded its mission to include combating the financing of terrorism. FATF is a policy-making body that brings together legal, financial, and law enforcement experts to achieve national legislation and regulatory AML and CFT reforms. As of 2014 its membership consists of 36 countries and territories and two regional organizations. FATF works in collaboration with a number of international bodies and organizations. These entities have observer status with FATF, which does not entitle them to vote, but permits them full participation in plenary sessions and working groups. The FATF currently comprises 34 member jurisdictions and 2 regional organisations, representing most major financial centres in all parts of the globe. The United Nations Office on Drugs and Crime maintains the International Money Laundering Information Network, a website that provides information and software for anti-money laundering data collection and analysis. The World Bank has a website that provides policy advice and best practices to governments and the private sector on anti-money laundering issues. The Basel AML Index is an independent annual ranking that assesses the risk of money laundering and terrorist financing around the world. Australia has adopted a number of strategies to combat money laundering, which mirror those of a majority of western countries. The Australian Transaction Reports and Analysis Centre (AUSTRAC) is Australia's financial intelligence unit to combat money laundering and terrorism financing, which requires financial institutions and other 'cash dealers' in Australia to report to it suspicious cash or other transactions and other specific information. The Attorney-General's Department maintains a list of outlawed terror organisations. It is an offense to materially support or be supported by such organisations. It is an offence to open a bank account in Australia in a false name, and rigorous procedures must be followed when new bank accounts are opened. to enable law enforcement authorities to effectively trace such proceeds, benefits and property. In terms of section 2, "Money Laundering means – (i) knowingly moving, converting, or transferring proceeds of crime or property involved in an offence for the following purposes:- (1) concealing or disguising the illicit nature, source, location, ownership or control of the proceeds of crime; or (2) assisting any person involved in the commission of the predicate offence to evade the legal consequences of such offence; (ii) smuggling money or property earned through legal or illegal means to a foreign country; (iii) knowingly transferring or remitting the proceeds of crime to a foreign country or remitting or bringing them into Bangladesh from a foreign country with the intention of hiding or disguising its illegal source; or (iv) concluding or attempting to conclude financial transactions in such a manner so as to reporting requirement under this Act may be avoided;(v) converting or moving or transferring property with the intention to instigate or assist for committing a predicate offence; (vi) acquiring, possessing or using any property, knowing that such property is the proceeds of a predicate offence; (vii) performing such activities so as to the illegal source of the proceeds of crime may be concealed or disguised; (viii) participating in, associating with, conspiring, attempting, abetting, instigate or counsel to commit any offences mentioned above." In 1991, the Proceeds of Crime (Money Laundering) Act was brought into force in Canada to give legal effect to the former FATF Forty Recommendations by establishing record keeping and client identification requirements in the financial sector to facilitate the investigation and prosecution of money laundering offences under the Criminal Code and the Controlled Drugs and Substances Act. In Canada, casinos, money service businesses, notaries, accountants, banks, securities brokers, life insurance agencies, real estate salespeople and dealers in precious metals and stones are subject to the reporting and record keeping obligations under the Proceeds of Crime (Money Laundering) and Terrorist Financing Act. However in recent years, casinos and realtors have been embroiled in scandal for aiding and abetting money launderers, especially in Vancouver. Some have speculated that approximately $1 Billion is laundered in Vancouver per year. The fourth iteration of the EU's anti-money laundering directive (AMLD IV) was published on 5 June 2015, after clearing its last legislative stop at the European Parliament. This directive brought the EU's money laundering laws more in line with the US's, which is advantageous for financial institutions operating in both jurisdictions. The Fifth Money Laundering Directive (5MLD) comes into force on 10 January 2020, addressing a number of weaknesses in the European Union's AML/CFT regime that came to light after the enactment of the Fourth Money Laundering Directive AMLD IV). Lack of harmonization in AML requirements between the US and EU has complicated the compliance efforts of global institutions that are looking to standardize the Know Your Customer (KYC) component of their AML programs across key jurisdictions. AMLD IV promises to better align the AML regimes by adopting a more risk-based approach compared to its predecessor, AMLD III. Certain components of the directive, however, go beyond current requirements in both the EU and US, imposing new implementation challenges on banks. For instance, more public officials are brought within the scope of the directive, and EU member states are required to establish new registries of "beneficial owners" (i.e., those who ultimately own or control each company) which will impact banks. AMLD IV became effective 25 June 2015. On 24 January 2019, the European Commission sent official warnings to ten member states as part of a crackdown on lax application of money laundering regulations. The Commission sent Germany a letter of formal notice, the first step of the EU legal procedure against states. Belgium, Finland, France, Lithuania and Portugal were sent reasoned opinions, the second step of the procedure which could lead to fines. A second round of reasoned opinions was sent to Bulgaria, Cyprus, Poland, and Slovakia. The ten countries have two months to respond or face court action. The Commission had set a 26 June 2017 deadline for EU countries to apply new rules against money laundering and terrorist financing. On 13 February 2019, the Commission added Saudi Arabia, Panama, Nigeria and other jurisdictions to a blacklist of nations that pose a threat because of lax controls on terrorism financing and money laundering. This is a more expansive list than that of FATF. Most money laundering activities in India are through political parties, corporate companies and the shares market. These are investigated by the Enforcement Directorate and Indian Income Tax Department. According to Government of India, out of the total tax arrears of ₹2,480 billion (US$35 billion) about ₹1,300 billion (US$18 billion) pertain to money laundering and securities scam cases. Bank accountants must record all transactions over Rs. 1 million and maintain such records for 10 years. Banks must also make cash transaction reports (CTRs) and suspicious transaction reports over Rs. 1 million within 7 days of initial suspicion. They must submit their reports to the Enforcement Directorate and Income Tax Department. The Corruption, Drug Trafficking and Other Serious Crimes (Confiscation of Benefits) Act (CDSA). This statute criminalises money laundering and imposes the requirement for persons to file suspicious transaction reports (STRs) and make a disclosure whenever physical currency or goods exceeding S$20,000 are carried into or out of Singapore. The Mutual Assistance in Criminal Matters Act (MACMA). This statute sets out the framework for mutual legal assistance in criminal matters. Legal instruments issued by regulatory agencies (such as the Monetary Authority of Singapore (MAS), in relation to financial institutions (FIs)) imposing requirements to conduct customer due diligence (CDD). The assistance of another person in retaining, controlling or using the benefits of drug dealing or criminal conduct under an arrangement (whether by concealment, removal from jurisdiction, transfer to nominees or otherwise) [section 43(1)/44(1)]. The concealment, conversion, transfer or removal from the jurisdiction, or the acquisition, possession or use of benefits of drug dealing or criminal conduct [section 46(1)/47(1)]. The concealment, conversion, transfer or removal from the jurisdiction of another person's benefits of drug dealing or criminal conduct [section 46(2)/47(2)]. The acquirement, possession or use of another person's benefits of drug dealing or criminal conduct [section 46(3)/47(3)]. The principal money laundering offences carry a maximum penalty of 14 years' imprisonment. Although 5,108 different organisations submitted suspicious activity reports to the authorities in the year ended 30 September 2010, just four organisations submitted approximately half of all reports, and the top 20 reporting organisations accounted for three-quarters of all reports. The offence of failing to report a suspicion of money laundering by another person carries a maximum penalty of 5 years' imprisonment. On 1 May 2018, the UK House of Commons, without opposition, passed the Sanctions and Anti-Money Laundering Bill, which will set out the UK government's intended approach to exceptions and licenses when the nation becomes responsible for implementing its own sanctions and will also require notorious overseas British territory tax havens such as the Cayman Islands and the British Virgin Islands to establish public registers of the beneficial ownership of firms in their jurisdictions by the end of 2020. The legislation was passed by the House of Lords on 21 May and received Royal Asset on 23 May. However, the Act's public register provision is facing legal challenges from local governments in the Cayman Islands and British Virgin Islands, who argue that it violates their Constitutional sovereignty. In South Africa, the Financial Intelligence Centre Act (2001) and subsequent amendments have added responsibilities to the FSB to combat money laundering. The BSA requires financial institutions to engage in customer due diligence, or KYC, which is sometimes known in the parlance as know your customer. This includes obtaining satisfactory identification to give assurance that the account is in the customer's true name, and having an understanding of the expected nature and source of the money that flows through the customer's accounts. Other classes of customers, such as those with private banking accounts and those of foreign government officials, are subjected to enhanced due diligence because the law deems that those types of accounts are a higher risk for money laundering. All accounts are subject to ongoing monitoring, in which internal bank software scrutinizes transactions and flags for manual inspection those that fall outside certain parameters. If a manual inspection reveals that the transaction is suspicious, the institution should file a Suspicious Activity Report. In the United States, there are perceived consequences of anti-money laundering (AML) regulations. These unintended consequences include FinCEN's publishing of a list of "risky businesses," which many believe unfairly targeted money service businesses. The publishing of this list and the subsequent fall-out, banks indiscriminately de-risking MSBs, is referred to as Operation Choke Point. The Financial Crimes Enforcement Network issued a Geographic Targeting Order to combat against illegal money laundering in the United States. This means that title insurance companies in the U.S. are required to identify the natural persons behind companies that pay all cash in residential real estate purchases over a particular amount in certain U.S. cities. Money laundering has been criminalized in the United States since the Money Laundering Control Act of 1986. The law, contained at section 1956 of Title 18 of the United States Code, prohibits individuals from engaging in a financial transaction with proceeds that were generated from certain specific crimes, known as "specified unlawful activities" (SUAs). The law requires that an individual specifically intend in making the transaction to conceal the source, ownership or control of the funds. There is no minimum threshold of money, and no requirement that the transaction succeeded in actually disguising the money. A "financial transaction" has been broadly defined, and need not involve a financial institution, or even a business. Merely passing money from one person to another, with the intent to disguise the source, ownership, location or control of the money, has been deemed a financial transaction under the law. The possession of money without either a financial transaction or an intent to conceal is not a crime in the United States. Besides money laundering, the law contained in section 1957 of Title 18 of the United States Code, prohibits spending more than US$10,000 derived from an SUA, regardless of whether the individual wishes to disguise it. It carries a lesser penalty than money laundering, and unlike the money laundering statute, requires that the money pass through a financial institution. According to the records compiled by the United States Sentencing Commission, in 2009, the United States Department of Justice typically convicted a little over 81,000 people; of this, approximately 800 are convicted of money laundering as the primary or most serious charge. The Anti-Drug Abuse Act of 1988 expanded the definition of financial institution to include businesses such as car dealers and real estate closing personnel and required them to file reports on large currency transaction. It required verification of identity of those who purchase monetary instruments over $3,000. The Annunzio-Wylie Anti-Money Laundering Act of 1992 strengthened sanctions for BSA violations, required so called "Suspicious Activity Reports" and eliminated previously used "Criminal Referral Forms", required verification and recordkeeping for wire transfers and established the Bank Secrecy Act Advisory Group (BSAAG). The Money Laundering Suppression Act from 1994 required banking agencies to review and enhance training, develop anti-money laundering examination procedures, review and enhance procedures for referring cases to law enforcement agencies, streamlined the Currency transaction report exemption process, required each Money services business (MSB) to be registered by an owner or controlling person, required every MSB to maintain a list of businesses authorized to act as agents in connection with the financial services offered by the MSB, made operating an unregistered MSB a federal crime, and recommended that states adopt uniform laws applicable to MSBs. The Money Laundering and Financial Crimes Strategy Act of 1998 required banking agencies to develop anti-money laundering training for examiners, required the Department of the Treasury and other agencies to develop a "National Money Laundering Strategy", created the "High Intensity Money Laundering and Related Financial Crime Area" (HIFCA) Task Forces to concentrate law enforcement efforts at the federal, state and local levels in zones where money laundering is prevalent. HIFCA zones may be defined geographically or can be created to address money laundering in an industry sector, a financial institution, or group of financial institutions. The Intelligence Reform & Terrorism Prevention Act of 2004 amended the Bank Secrecy Act to require the Secretary of the Treasury to prescribe regulations requiring certain financial institutions to report cross-border electronic transmittals of funds, if the Secretary determines that reporting is "reasonably necessary" in "anti-money laundering /combatting financing of terrorists (Anti-Money Laundering/Combating the Financing of Terrorism AML/CFT)." BTA Bank: $6 billion of bank funds embezzled or fraudulently loaned to shell companies and offshore holdings by the banks former chairman and CEO Mukhtar Ablyazov. Charter House Bank: Charter House Bank in Kenya was placed under statutory management in 2006 by the Central Bank of Kenya after it was discovered the bank was being used for money laundering activities by multiple accounts containing missing customer information. More than $1.5 billion had been laundered before the scam was uncovered. Danske Bank + Swedbank: $30 billion - $230 billion US dollars laundered through its Estonian branch. This was revealed on 19 September 2018. Investigations by Denmark, Estonia, the U.K. and the U.S. were joined by France in February 2019. On 19 February 2019, Danske Bank announced that it would cease operating in Russia and the Baltic States. This statement came shortly after Estonia's banking regulator Finantsinspektsioon announced that they would close the Estonian branch of Danske Bank. The investigation has grown to include Swedbank, which may have laundered $4.3 billion. More at Danske Bank money laundering scandal. HSBC, in December 2012, paid a record $1.9 Billion fines for money-laundering hundreds of millions of dollars for drug traffickers, terrorists and sanctioned governments such as Iran. The money-laundering occurred throughout the 2000s. Liberty Reserve, in May 2013, was seized by United States federal authorities for laundering $6 billion. Standard Bank: Standard Bank South Africa London Branch – The Financial Conduct Authority (FCA) has fined Standard Bank PLC (Standard Bank) £7,640,400 for failings relating to its anti-money laundering (AML) policies and procedures over corporate and private bank customers connected to politically exposed persons (PEPs). BNP Paribas, in June 2014, pleaded guilty to falsifying business records and conspiracy, having violated U.S. sanctions against Cuba, Iran, and Sudan. It agreed to pay an $8.9 billion fine, the largest ever for violating U.S. sanctions. BSI Bank, in May 2017, was shut down by the Monetary Authority of Singapore for serious breaches of anti-money laundering requirements, poor management oversight of the bank's operations, and gross misconduct of some of the bank's staff. Jose Franklin Jurado-Rodriguez, a Harvard College and Columbia University Graduate School of Arts and Sciences Economics Department alumnus, was convicted in Luxembourg in June 1990 "in what was one of the largest drug money laundering cases ever brought in Europe" and the US in 1996 of money laundering for the Cali Cartel kingpin Jose Santacruz Londono. Jurado-Rodriguez specialized in "smurfing". Fortnite. In 2018 Cybersecurity firm Sixgill posed as customers and discovered that stolen credit card details may have used to purchase Fortnite's in-game currency (V-Bucks) then in-game purchases, to be sold for "clean" money. Epic Games, the makers of Fortnite, responded by urging customers to secure their accounts. To prevent the usage of decentralized digital money such as Bitcoin for the profit of crime and corruption, Australia is planning to strengthen the nation's anti-money laundering laws. The characteristics of Bitcoin—it is completely deterministic, protocol based and cannot be censored—make it possible to circumvent national laws using services like Tor to obfuscate transaction origins. Bitcoin relies completely on cryptography, not on a central entity running under a KYC framework. There are several cases in which criminals have cashed out a significant amount of Bitcoin after ransomware attacks, drug dealings, cyber fraud and gunrunning. Additional cases, such as The DAO being drained of Ether, cannot be classified as money laundering under any legal definition, as decentralized virtual environments are legally stateless and cannot be intervened with by a governing body. The DAO incident initiated debate regarding the definition of money laundering in a stateless environment, leading to the formation of Ethereum Classic. https://www.acams.org/aml-resources/combatting-terrorist-financing/ - A collection of resources for AML and CTF professionals. https://www.buzzsprout.com/242645 - The Dark Money Files podcast by Graham Barrow and Ray Blake aims to explain money laundering to a non-technical audience. ^ "Anti-Money Laundering – Getting The Deal Through – GTDT". Getting The Deal Through. Retrieved 28 May 2017. ^ Morris-Cotterill, Nigel (1999). "A brief history of money laundering". Archived from the original on 24 February 2016. Retrieved 17 February 2016. ^ a b Protess, Ben & Jessica Silver-Greenberg (30 June 2014). "BNP Paribas Admits Guilt and Agrees to Pay $8.9 Billion Fine to U.S." The New York Times. Retrieved 1 July 2014. ^ "AUSTRAC at a glance". AUSTRAC. Archived from the original on 28 August 2016. Retrieved 18 August 2016. ^ "History of Anti-Money Laundering Laws". United States Department of the Treasury. 30 June 2015. Retrieved 30 June 2015. ^ National Drug Intelligence Center (August 2011). "National Drug Threat Assessment" (PDF). p. 40. Retrieved 20 September 2011. ^ a b "National Money Laundering Threat Assessment" (PDF). December 2005. p. 33. Archived from the original (PDF) on 17 October 2010. Retrieved 3 March 2011. ^ Has the Art Market Become an Unwitting Partner in Crime?. "Has the Art Market Become an Unwitting Partner in Crime?". Retrieved 5 May 2018. ^ Financial Action Task Force. "Global Money Laundering and Terrorist Financing Threat Assessment" (PDF). Retrieved 3 March 2011. ^ a b "Private Eye - Official Site - the UK's number one best-selling news and current affairs magazine, edited by Ian Hislop". www.private-eye.co.uk. Retrieved 14 November 2018. ^ "Underground Economy Issues. Ontario Construction Secretariat". Archived from the original on 16 December 2010. ^ "Tax amnesties turn HMRC into 'biggest money-laundering operation in history'". Retrieved 14 June 2013. ^ "Merchant-based money laundering Part 3: The medium is the method - ACFCS | Association of Certified Financial Crime Specialists | A BARBRI, Inc. Company". www.acfcs.org. Retrieved 8 January 2019. ^ "The Growing Threat of Transaction Laundering | Legal Solutions". store.legal.thomsonreuters.com. Retrieved 8 January 2019. ^ "Transaction laundering in 2019 – time to review the monitoring strategy | The Paypers". www.thepaypers.com. Retrieved 9 January 2019. ^ "Transaction Laundering: Growing Fraud Risk for Merchants". ThreatMetrix. 26 April 2018. Retrieved 8 January 2019. ^ "Exclusive: Fake online stores reveal gamblers' shadow banking system". Reuters. 22 June 2017. Retrieved 8 January 2019. ^ "G2 Transaction Laundering Detection". G2 Web Services. Retrieved 8 January 2019. ^ raytodd2017, Author (17 September 2018). "TRANSACTION LAUNDERING AND HIGH-RISK PAYMENT PROCESSORS". raytodd.blog. Retrieved 8 January 2019. ^ "Economic Crime: A Threat to Business Globally" (PDF). Archived from the original (PDF) on 12 June 2018. ^ "Office of National Drug Control Policy". The White House. Retrieved 10 June 2018. ^ "Money Laundering: the Importance of International Countermeasures--Address by Michel Camdessus". IMF. Retrieved 2 March 2018. ^ Financial Action Task Force. "Money Laundering - Financial Action Task Force". Retrieved 26 October 2018. ^ "Transaction laundering should be a top priority for regulators in 2018". ftalphaville.ft.com. 27 September 2017. Retrieved 10 January 2019. ^ "Online Payments-the Blind Spot in the AML Regime". Finextra Research. 17 July 2017. Retrieved 10 January 2019. ^ Zetter, Kim (May 2013). "Liberty Reserve founder indicted on $6 billion money-laundering charges". Wired. Retrieved 20 October 2013. ^ Solon, Olivia (October 2013). "Cybercriminals launder money using in-game currencies". Wired. Retrieved 22 October 2013. ^ International Federation of Accountants. "Anti-Money Laundering" (PDF). Retrieved 27 March 2014. ^ Cassella, S.D. (2003). "Reverse money laundering". Journal of Money Laundering Control. 7 (1): 92–94. ^ Zabyelina, Yuliya (2015). "Reverse money laundering in Russia: Clean cash for dirty ends". Journal of Money Laundering Control. 18 (2): 202–221. doi:10.1108/JMLC-10-2014-0039. ^ EAG. "Money laundering and terrorist financing with use of physical cash and bearer instruments", 17th Plenary Meeting of the Eurasian Group on Combating Money Laundering and Financing of Terrorism, 28 December 2012, New Delhi. ^ Financial Action Task Force. "About the FATF". Retrieved 20 September 2011. ^ Financial Action Task Force. "About the Non-Cooperative Countries and Territories (NCCT) Initiative". Retrieved 20 September 2011. ^ "The Global Anti-Money Laundering Regime: A Short Overview, by Richard Horowitz, Cayman Islands Journal, 6 January 2010". Compasscayman.com. Retrieved 10 November 2013. ^ Financial Action Task Force. "Money Laundering FAQ". Retrieved 20 September 2011. ^ "Deutsche Bank report reveals shortcomings in its screening process, raises anti-money laundering concerns". Business Insider. Retrieved 10 August 2018. ^ Li, X., Cao, X., Qiu, X., Zhao, J., & Zheng, J. (2017, August). Intelligent anti-money laundering solution based upon novel community detection in massive transaction networks on spark. In 2017 fifth international conference on advanced cloud and big data (CBD) (pp. 176-181). IEEE. ^ "Financial Crime Job Descriptions - FinCrimeJobs.com". ^ Roth, John; et al. (20 August 2004). "Monograph on Terrorist Financing" (PDF). National Commission on Terrorist Attacks Upon the United States. pp. 54–56. Retrieved 20 September 2011. ^ "The Lost Trail". The Economist. 20 October 2005. Retrieved 19 September 2011. ^ Levi, Michael & William Gilmore (2002). "Terrorist Finance, Money Laundering and the Rise of Mutual Evaluation: A New Paradigm for Crime Control?". European Journal of Law Reform. 4 (2): 337–364. ^ Levi, Michael (May 2010). "Combating the Financing of Terrorism: A History and Assessment of the Control of 'Threat Finance'". The British Journal of Criminology. 50 (4): 650–669. doi:10.1093/bjc/azq025. ^ "Coming clean". The Economist. 14 October 2004. Archived from the original on 15 June 2013. ^ Bartlett, Brent (May 2002). "The Negative Effects of Money Laundering on Economic Development". Asian Development Bank. Archived from the original on 2 June 2011. Retrieved 19 September 2011. ^ Article 29 Data Protection Working Party. "Opinion 14/2011 on data protection issues related to the prevention of money laundering and terrorist financing" (PDF). European Commission. Retrieved 18 February 2014. ^ Article 29 Data Protection Working Group. "Opinion 14/2011 Annex: Recommendations" (PDF). European Commission. Retrieved 18 February 2014. ^ American Civil Liberties Union. "The Surveillance Industrial Complex" (PDF). Retrieved 23 October 2011. ^ Mallen, Patricia (13 February 2013). "In Mexico, Around $10B Every Year Come From Money Laundering, Which Was Not Illegal in 16 Out of 31 States". International Business Times. Retrieved 12 March 2014. ^ GAFI, FATF (21 July 2017). "FATF Members and Observers". www.fatf-gafi.org. ^ Financial Action Task Force. "Member Country and Observers FAQ". www.fatf-gafi.org. ^ "Mission". Retrieved 21 June 2014. ^ Financial Action Task Force (23 June 2017). "High-risk and non-cooperative jurisdictions". www.fatf-gafi.org. ^ Basel AML Index. Retrieved on 25 September 2018. ^ "fintraca.gov.af". fintraca.gov.af. Retrieved 10 November 2013. ^ Financial Transaction Reports Act 1988 (Cth), s 24. ^ Tyree, Alan (1997). Digital Cash. Adelaide, Australia: Butterworths. pp. 82, 86. ISBN 0 409 31316 5. ^ "Money Laundering Act 2012 amended". Resource Portal of OGR Legal. OGR Legal. Retrieved 2 November 2015. ^ "Laws and Acts". Bangladesh Bank. ^ "মানিলন্ডারিং প্রতিরোধ আইন, ২০১২". ^ a b "Anti-money laundering and counter terrorist financing". European Union. Retrieved 15 January 2019. Updated as required; links to many relevant documents. ^ a b "AML global alignment: Two steps forward, one step back" (PDF). pwc.com. PwC Financial Services Regulatory Practice, June 2015. ^ Vishal Marria (13 September 2018). "The EU's 5th Anti-Money Laundering Directive: What Does It Mean?". Forbes. Retrieved 15 January 2019. ^ "EUR-Lex – 52013PC0045 – EN – EUR-Lex". ^ "EU acts against 10 EU countries in money laundering crackdown". Reuters. 24 January 2019. Retrieved 24 January 2019. ^ "EU broadens its dirty-money blacklist, adds Saudi Arabia". Reuters. 13 February 2019. Retrieved 13 February 2019. ^ "Prevention of Money Laundering Act, 2002" (PDF). Financial Intelligence Unit (FIU-IND), Ministry of Finance, India. Archived from the original (PDF) on 12 July 2017. Retrieved 10 October 2012. ^ "The Prevention of Money Laundering (Amendment) Act, 2005" (PDF). Archived from the original (PDF) on 19 December 2010. Retrieved 10 November 2013. ^ "The Prevention of Money Laundering (Amendment) Act, 2009" (PDF). Retrieved 10 November 2013. ^ "ED – functions". Archived from the original on 26 April 2012. Retrieved 20 May 2013. ^ "Recovery of Arrears From Hasan Ali Not Possible: Fin Min". Outlook India. Retrieved 6 July 2014. ^ "Reserve Bank of India - Notifications". www.rbi.org.in. Retrieved 1 June 2018. ^ Chan, Eric. "Getting The Deal Through - Anti-Money Laundering" (PDF). Retrieved 28 May 2017. ^ "Singapore Statutes Online - 65A - Corruption, Drug Trafficking and Other Serious Crimes (Confiscation of Benefits) Act". statutes.agc.gov.sg. Retrieved 28 May 2017. ^ "Singapore Statutes Online - 190A - Mutual Assistance in Criminal Matters Act". statutes.agc.gov.sg. Retrieved 28 May 2017. ^ Room, Reading. "Regulatory and Supervisory Framework > Anti Money Laundering and Countering the Financing of Terrorism". www.mas.gov.sg. Retrieved 28 May 2017. ^ "OPSI: Terrorism Act". Retrieved 14 February 2009. ^ "OPSI: Anti-Terrorist Crime & Security Act". Retrieved 14 February 2009. ^ "OPSI: Proceeds of Crime Act". Retrieved 14 February 2009. ^ "OPSI: Serious Organised Crime and Police Act 2005". Retrieved 14 February 2009. ^ "The Sanctions and Anti-Money Laundering Act 2018: New Challenges in Sanctions Compliance?". Shearman & Sterling. Retrieved 14 November 2018. ^ "OPSI: Money Laundering Regulations 2003". Retrieved 14 February 2009. ^ a b "OPSI: Money Laundering Regulations 2007". Retrieved 14 February 2009. ^ "Joint Money Laundering Steering Group". Archived from the original on 6 October 2011. Retrieved 14 February 2009. ^ "Law Society AML advice". Retrieved 14 February 2015. ^ a b "MPs back public registers of ownership in bid to improve tax haven transparency - AOL". www.aol.co.uk. Retrieved 14 November 2018. ^ "Sanctions and Anti-Money Laundering Bill: exceptions and licences policy note". GOV.UK. Retrieved 14 November 2018. ^ "Bill stages — Sanctions and Anti-Money Laundering Act 2018 — UK Parliament". services.parliament.uk. Retrieved 14 November 2018. ^ "Overseas territories to fight public register demands". Retrieved 14 November 2018. ^ Staff, Investopedia (21 July 2005). "Anti Money Laundering - AML". Investopedia. Retrieved 21 November 2018. ^ "History of Anti-Money Laundering Laws | FinCEN.gov". www.fincen.gov. Retrieved 22 February 2018. ^ "FFIEC website regarding CTR Exemptions". Retrieved 3 November 2014. ^ FinCEN. "Bank Secrecy Act". Archived from the original on 7 March 2011. Retrieved 2 March 2011. ^ FinCEN Mission. "FinCEN mission". Archived from the original on 30 April 2011. Retrieved 2 March 2011. ^ Roth, John; Douglas Greenburg and Serena Willie (2004). "Monograph on Terrorist Financing" (PDF): 54–56. Retrieved 2 March 2011. ^ Joseph, Lester; John Roth (September 2007). "Criminal Prosecution of Banks Under the Bank Secrecy Act" (PDF). United States Attorneys' Bulletin. Retrieved 2 March 2011. ^ "SEC resources". Retrieved 2 March 2011. ^ "IRS web site regarding Form 8300". Archived from the original on 22 February 2011. Retrieved 2 March 2011. ^ "AML Regulation MSBs - National Check & Currency". Retrieved 14 November 2018. ^ a b Cassella, Stefan (September 2007). "Money Laundering Laws" (PDF). United States Attorneys' Bulletin: 21–34. Retrieved 2 March 2011. ^ "US Sentencing Commission Date, 2009" (PDF). 2009. Retrieved 2 March 2011. ^ US Dept Treasury. "What is a HICFA?". Financial Crimes Enforcement Network. Archived from the original on 6 March 2014. Retrieved 6 March 2014. ^ "BCCI's Criminality". Globalsecurity.org. Retrieved 3 March 2011. ^ " EWHC 2788 (Comm)". BAILII. ^ O'Brien, Timothy L. (9 November 2005). "Bank of New York Settles Money Laundering Case". New York Times. Retrieved 3 March 2011. ^ Charter House Bank Kenya Scandal "Charter House Bank: A Money Laundering Machine" Check |url= value (help). ^ "Danske Bank reveals Estonian branch may have laundered $230 billion as CEO steps down - ACFCS | Association of Certified Financial Crime Specialists | A BARBRI, Inc. Company". www.acfcs.org. Retrieved 23 January 2019. ^ PYMNTS (23 October 2018). "Danske Handled $1T Plus In X-Border Payments". PYMNTS.com. Retrieved 23 January 2019. ^ "Danske Bank, Estonia – a technical review of the latest leak of data". GrahamBarrow.com. 15 October 2018. Retrieved 12 February 2019. ^ "Investigations into Danske Bank's Estonian branch | Danske Bank". danskebank.com. Retrieved 8 February 2019. ^ Rubenfeld, Samuel; Chopping, Dominic (19 February 2019). "Danske Bank to Shut Estonia Branch". Wall Street Journal. ISSN 0099-9660. Retrieved 20 February 2019. ^ "Danske Bank pulls out of Russia, Baltics after money-laundering..." Reuters. 19 February 2019. Retrieved 20 February 2019. ^ "Finantsinspektsioon | Avaleht". www.fi.ee. Retrieved 20 February 2019. ^ CNBC (19 February 2019). "Estonia shuts Danske Bank branch at heart of money laundering saga". www.cnbc.com. Retrieved 20 February 2019. ^ "Swedbank May Have Handled More Than $4.3 Billion in Dirty Money". www.bloomberg.com. Retrieved 20 February 2019. ^ "Estonia investigates alleged Swedbank link to money laundering scandal". Reuters. 20 February 2019. Retrieved 20 February 2019. ^ Dunlap, David W. (13 January 1991). "Commercial Property: The Bernstein Brothers; A Tangled Tale of Americas Towers and the Crown". The New York Times. Retrieved 12 June 2010. ^ "HSBC to Pay Record Fine to Settle Money-Laundering Charges". New York Times. 11 December 2012. Retrieved 24 January 2013. ^ Josephine McKenna (7 December 2009). "Vatican Bank reported to be facing money-laundering investigation". The Times. Retrieved 12 June 2010. ^ "U.S. accuses currency exchange of laundering $6 billion". Reuters. 29 May 2013. Retrieved 23 January 2019. ^ Zetter, Kim (28 May 2013). "Liberty Reserve Founder Indicted on $6 Billion Money-Laundering Charges". Wired. ISSN 1059-1028. Retrieved 23 January 2019. ^ "Secret Service busts $6 billion money laundering scheme". Fox News. 25 March 2015. Retrieved 23 January 2019. ^ Hitt, Jack (10 December 2000). "The Billion Dollar Shack". The New York Times. Retrieved 3 March 2011. ^ "Sani Abacha". Asset Recovery Knowledge Center. Archived from the original on 2 May 2013. Retrieved 3 March 2011. ^ "Standard Chartered to Pay $330 Million to Settle Iran Money Transfer Claims". New York Times. 6 December 2012. Retrieved 24 January 2013. ^ "Standard Bank PLC fined £7.6m for failures in its anti-money laundering controls". FCA. 23 January 2014. Retrieved 23 January 2019. ^ "FBI — Bank Guilty of Violating U.S. Economic Sanctions". Fbi.gov. Archived from the original on 15 July 2014. Retrieved 14 July 2014. ^ "MAS directs BSI Bank to shut down in Singapore". www.mas.gov.sg. Retrieved 23 January 2019. ^ McGee, Jim (18 June 1995). "FROM RESPECTED ATTORNEY TO SUSPECTED RACKETEER: A LAWYER'S JOURNEY". The Washington Post. ^ RASHBAUM, William K. (12 April 1996). "HE ADMITS LAUNDERING DRUG CASH". New York Daily News. ^ Kochan, Nick (2011). The Washing Machine. ^ "Digital Gaming". sixgill.campgn5.com. Retrieved 21 January 2019. ^ Casiano, Louis; News, Fox (18 January 2019). "'Fortnite' has become a money-laundering paradise". New York Post. Retrieved 21 January 2019. ^ "How children playing Fortnite are helping to fuel organised crime". The Independent. 13 January 2019. Retrieved 21 January 2019. ^ PYMNTS (8 February 2019). "Red Envelopes, Fortnite, Micro Money Laundering". PYMNTS.com. Retrieved 8 February 2019. ^ "Epic Games Responds to 'Fortnite' Money Laundering Accusations". The Hollywood Reporter. Retrieved 21 January 2019. ^ "Bitcoin one step closer to being regulated in Australia under new anti-money laundering laws". Retrieved 18 December 2017. ^ "Bitcoin FAQ". Retrieved 18 December 2017. ^ "Hackers have cashed out on $143,000 of bitcoin from the massive WannaCry ransomware attack". Retrieved 18 December 2017. ^ "Bitcoin used by CRIMINALS to launder illicit funds". Retrieved 18 December 2017. ^ Barrow, Graham. "Hiding in plain sight - my search for money launderers". GrahamBarrow.com. Retrieved 12 February 2019. The Bangladesh Bank robbery, also known colloquially as the Bangladesh Bank cyber heist, took place in February 2016, when thirty-five fraudulent instructions were issued by security hackers via the SWIFT network to withdraw close to US$1 billion from the Federal Reserve Bank of New York account belonging to Bangladesh Bank, the central bank of Bangladesh. Five of the thirty-five instructions were successful in transferring $101 million, with $20 million traced to Sri Lanka and $81 million to the Philippines. The Federal Reserve Bank of New York blocked the remaining thirty transactions, amounting to $850 million, due to suspicions raised by a misspelled instruction. All the money transferred to Sri Lanka has since been recovered. However, as of 2018 only around $18 million of the $81 million transferred to the Philippines has been recovered. It was later suspected that Dridex malware was used for the attack.A Reuters report attributed the robbery to oversights and failures by Bangladesh Bank, the Federal Reserve Bank of New York, as well as the Rizal Commercial Banking Corporation (RCBC) in the Philippines. The Bank Secrecy Act of 1970 (BSA), also known as the Currency and Foreign Transactions Reporting Act, is a U.S. law requiring financial institutions in the United States to assist U.S. government agencies in detecting and preventing money laundering. Specifically, the act requires financial institutions to keep records of cash purchases of negotiable instruments, file reports if the daily aggregate exceeds $10,000, and report suspicious activity that may signify money laundering, tax evasion, or other criminal activities.The BSA is sometimes referred to as an anti-money laundering law (AML) or jointly as BSA/AML. Danske Bank A/S is a Danish bank. It was founded 5 October 1871 as Den Danske Landmandsbank, Hypothek- og Vexelbank i Kjøbenhavn (The Danish Farmers' Bank, Mortgage and Exchange Bank of Copenhagen). Headquartered in Copenhagen, it is the largest bank in Denmark and a major retail bank in the northern European region with over 5 million retail customers. Danske Bank was number 454 on the Fortune Global 500 list for 2011. The Economic and Financial Crimes Commission (EFCC) is a Nigerian law enforcement agency that investigates financial crimes such as advance fee fraud (419 fraud) and money laundering. The EFCC was established in 2003, partially in response to pressure from the Financial Action Task Force on Money Laundering (FATF), which named Nigeria as one of 23 countries non-cooperative in the international community's efforts to fight money laundering. The agency has its head office in Abuja. The Fugitive Economic Offenders Act, 2018 is an Act of the Parliament of India that seeks to confiscate properties and assets of economic offenders that evade prosecution by remaining outside the jurisdiction of Indian courts. Economic offences with a value of more than Rs 100 crores, which are listed in the schedule of the Fugitive Economic Offenders Act, come under the purview of this law. As per the Act, a court (‘Special Court’ under the Prevention of Money Laundering Act, 2002) has to declare a person as a Fugitive Economic Offender. The bill for the act was introduced in the Lok Sabha, the lower house of the Parliament of India, on 12 March 2018. On 25 July 2018, the Parliament passed the bill.Recently, on 5 January 2019, Special Prevention of Money Laundering Act (PMLA) court has declared Vijay Mallya a fugitive economic offender. His properties can now be confiscated by the government. HSBC Holdings plc is a British multinational banking and financial services holding company. It is the 7th largest bank in the world, and the largest in Europe, with total assets of US$2.558 trillion (as of December 2018). HSBC traces its origin to a hong in Hong Kong, and its present form was established in London by the Hongkong and Shanghai Banking Corporation to act as a new group holding company in 1991. The origins of the bank lie mainly in Hong Kong and to a lesser extent in Shanghai, where branches were first opened in 1865. The HSBC name is derived from the initials of the Hongkong and Shanghai Banking Corporation. The company was first formally incorporated in 1866. The company continues to see both the United Kingdom and Hong Kong as its "home markets".HSBC has around 3,900 offices in 67 countries and territories across Africa, Asia, Oceania, Europe, North America, and South America, and around 38 million customers. As of 2014, it was the world's sixth-largest public company, according to a composite measure by Forbes magazine.HSBC is organised within four business groups: Commercial Banking, Global Banking and Markets (investment banking), Retail Banking and Wealth Management, and Global Private Banking.HSBC has a dual primary listing on the Hong Kong Stock Exchange and London Stock Exchange and is a constituent of the Hang Seng Index and the FTSE 100 Index. As of 6 July 2012, it had a market capitalisation of £102.7 billion, the second-largest company listed on the London Stock Exchange, after Royal Dutch Shell. It has secondary listings on the New York Stock Exchange, Euronext Paris, and the Bermuda Stock Exchange. In February 2015, the International Consortium of Investigative Journalists released information about the business conduct of HSBC under the title Swiss Leaks. The ICIJ alleges that the bank profited from doing business with tax evaders and other clients. The BBC reported that HSBC had put pressure on media not to report about the controversy, with British newspaper The Guardian claiming HSBC advertising had been put "on pause" after The Guardian's coverage of the matter. Peter Oborne, chief political commentator at The Daily Telegraph, resigned from the paper; in an open letter, he claimed the newspaper suppressed negative stories and dropped investigations into HSBC because of the bank's advertising.In 2016, HSBC was sued by Mexican families involved in deaths by organized-crime gangs for processing funds ("money laundering") for the Sinaloa cartel. The Holyland Case, named for the Holyland Park building complex in Jerusalem, Israel, was a high-profile corruption case in which top Israeli officials were charged with bribery and money laundering, among them former Israel Prime Minister Ehud Olmert and former Mayor of Jerusalem Uri Lupolianski. Of the 13 defendants, three were acquitted and ten, including Olmert, were found guilty. Kleptocracy (from Greek κλέπτης kléptēs, "thief", κλέπτω kléptō, "I steal", and -κρατία -kratía from κράτος krátos, "power, rule") is a government with corrupt leaders (kleptocrats) that use their power to exploit the people and natural resources of their own territory in order to extend their personal wealth and political powers. Typically, this system involves embezzlement of funds at the expense of the wider population.Kleptocracy is different from a plutocracy; A kleptocracy is a government ruled by corrupt politicians who use their political power to receive kickbacks, bribes, and special favors at the expense of the populace. Kleptocrats may use political leverage to pass laws that enrich them or their constituents and they usually circumvent the rule of law. Know your customer, alternatively known as know your client or simply KYC, is the process of a business verifying the identity of its clients and assessing their suitability, along with the potential risks of illegal intentions towards the business relationship. The term is also used to refer to the bank regulations and anti-money laundering regulations which govern these activities. Know your customer processes are also employed by companies of all sizes for the purpose of ensuring their proposed customers, agents, consultants, or distributors are anti-bribery compliant. Banks, insurers, export creditors and other financial institutions are increasingly demanding that customers provide detailed due diligence information. The Money Laundering Control Act of 1986 (Public Law 99-570) is a United States Act of Congress that made money laundering a federal crime. It was passed in 1986. It consists of two sections, 18 U.S.C. § 1956 and 18 U.S.C. § 1957. It for the first time in the United States criminalized money laundering. Section 1956 prohibits individuals from engaging in a financial transaction with proceeds that were generated from certain specific crimes, known as "specified unlawful activities" (SUAs). Additionally, the law requires that an individual specifically intend in making the transaction to conceal the source, ownership or control of the funds. There is no minimum threshold of money, nor is there the requirement that the transaction succeed in actually disguising the money. Moreover, a "financial transaction" has been broadly defined, and need not involve a financial institution, or even a business. Merely passing money from one person to another, so long as it is done with the intent to disguise the source, ownership, location or control of the money, has been deemed a financial transaction under the law. Section 1957 prohibits spending in excess of $10,000 derived from an SUA, regardless of whether the individual wishes to disguise it. This carries a lesser penalty than money laundering, and unlike the money laundering statute, requires that the money pass through a financial institution. The USA PATRIOT Act was passed by the United States Congress in 2001 as a response to the September 11, 2001 attacks. It has ten titles, each containing numerous sections. Title III: International Money Laundering Abatement and Financial Anti-Terrorism Act of 2001 is actually an act of Congress in its own right as well as being a title of the USA PATRIOT Act, and is intended to facilitate the prevention, detection and prosecution of international money laundering and the financing of terrorism. The title's sections primarily amend portions of the Money Laundering Control Act of 1986 and the Bank Secrecy Act of 1970. The provisions of Title III are divided into three subtitles. The first deals primarily with strengthening banking rules specifically against money laundering, especially on the international stage. Communication between law enforcement agencies and financial institutions, as well as among institutions, is expanded by the second subtitle, which also increases record keeping and reporting requirements. The final portion of the title deals with currency smuggling and counterfeiting, including quadrupling the maximum penalty for counterfeiting foreign currency. Raúl Salinas de Gortari (born August 24, 1946) is a Mexican businessman who spent ten years in prison accused of the murder of his brother-in-law, José Francisco Ruiz Massieu, but was acquitted in 2005. He is the brother of former President of Mexico Carlos Salinas. Salinas de Gortari was included in a list of the "10 most corrupt Mexicans" published by Forbes in 2013. Swedbank AB (Swedish pronunciation: [ˈsvɛdbaŋk], [ˈsvɛdbæːŋk] or [ˈswɛdːbæːŋk]) is a Nordic-Baltic banking group based in Stockholm, Sweden, offering retail banking, asset management, financial, and other services. In 2019 Swedbank had 900,000 private and 130,000 corporate clients and a 60% market share of Estonia’s payments. The financing of terrorism involves providing finance or financial support to individual terrorists or non-state actors. Some countries maintain a list of terrorist organizations and have money laundering laws, which are also used to combat providing finance for those organizations. Some countries have anti-money laundering and terror financing laws. The United States Patriot Act, passed after the September 11 attacks, gives the government anti-money laundering powers to monitor financial institutions. The Patriot Act has generated a great deal of controversy in the United States since its enactment. The United States has also collaborated with the United Nations and other countries to create the Terrorist Finance Tracking Program.Laws created attempted to thwart the financing of terrorism (CFT) and money laundering. Initially the focus of CFT efforts was on non-profit organizations, unregistered money services businesses (MSBs) (including so called underground banking or ‘Hawalas’) and the criminalisation of the act itself. The Financial Action Task Force on Money Laundering (FATF) made nine special recommendations for CFT (first eight then a year later added a ninth). These nine recommendations have become the global standard for CFT and their effectiveness is assessed almost always in conjunction with anti-money laundering.The FATF Blacklist (the NCCT list) mechanism was used to coerce countries to bring about change. A 2008 FATF report on terrorism financing noted the importance of links between financial tools and wider counter-terrorist activity to combat terrorist financing.